The nation's elderly population is growing. The 2010 decennial census recorded the greatest number and proportion of Americans age 65 and older ever recorded, at 40.3 million people, or 13% of the U.S. population. Today, nearly 15% of the U.S. population is 65 or older, and that share is expected to continue to increase in coming years. 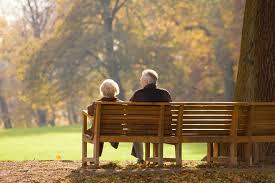 According to the U.S. Census Bureau, Americans 65 and older will comprise over 20% of the population before 2050. Based on a range of metrics, Wyoming is the best state in which to grow old. The physical decline that comes with aging means access to nearby medical facilities is especially beneficial for elderly communities. In Wyoming, There are 4.4 hospitals for every 100,000 residents, the sixth most of all states and several times the nationwide 1.4 hospitals to 100,000 person ratio. Because elderly adults are relatively vulnerable to isolation and exclusion, the presence of social establishments such as historical sites, museums, restaurants, and religious organizations can also play a major role in quality of life for older adults. In Wyoming, there are over 40 such establishments for every 10,000 residents, sixth highest concentration of states and well above the national ratio of 30.1 venues to 10,000 person.